“Would anyone be able to find out ____________?” is a question that people pose to me quite often. The truth is that any motivated party with enough time and resources can find out pretty much anything about anybody. Granted, there are people who do what we do legally and aboveboard; while others might use more sketchy, underhanded or illegal methods of obtaining information. 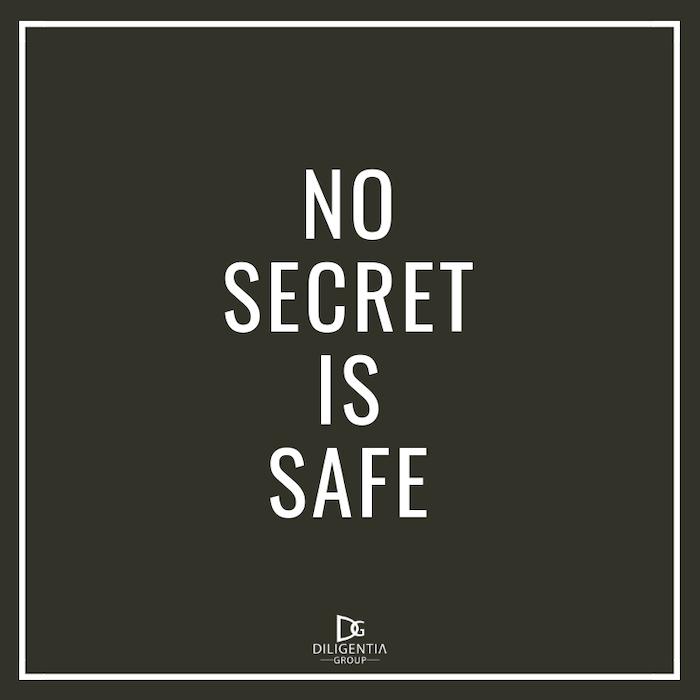 The best way to keep your secrets safe is to not have any secrets in the first place. This is true, good advice, thanks. To learn to keep secrets and generally speak less, learn to speak clearly and slowly, let your speech be meaningful and meaningful, save it from debris. Then you will understand that slow speech will not allow you to blurt out too much, you will not have a suitable pace for chatter. We hope that these tips will help you, and you will not think how to learn to speak less. If you want to learn to keep secrets and talk less, first of all you should understand why you talk too much and which topics interest you. If you like discussing someone, are interested in all the gossip, then we advise you to simply get rid of the habit of discussing others, and then you will calm down a bit and start talking less. Marvin, great advice and something that I still, as an investigative professional, sometimes still have to remind myself to do. On the flip side, always look for the “yentas ” (busybodies and gossips) to speak to and then….verify!